Seared bone in lamb meat. I tried this recipe out with the help of a buddy. Actually, he did everything. I just provided the lamb meat. Anyways this recipe is from the Chaos and Pain website. No I will not link to it because of the profanity in the URL but you are welcome to search for it. So we start out with some grass fed lamb that I personally raised on a friends farm. I had to saw the bone in leg roast to get it into the pan. 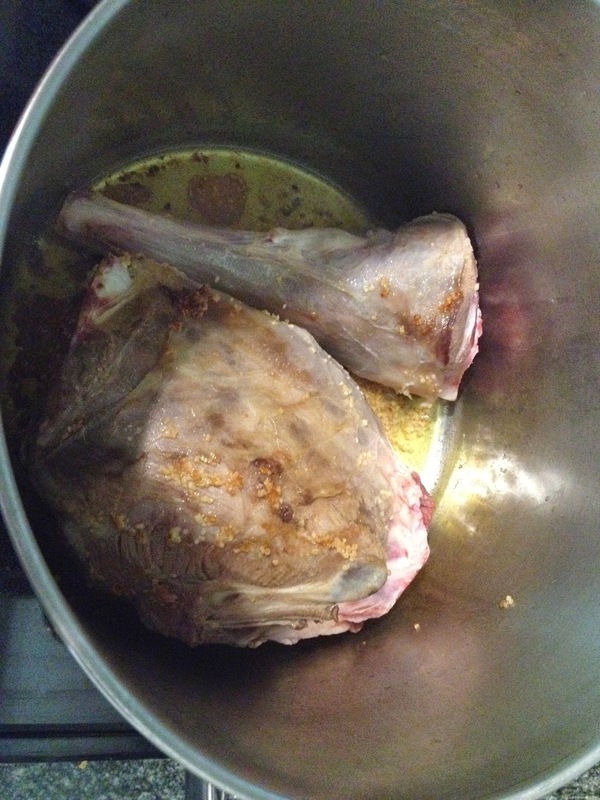 We first browned the lamb with olive oil and garlic. 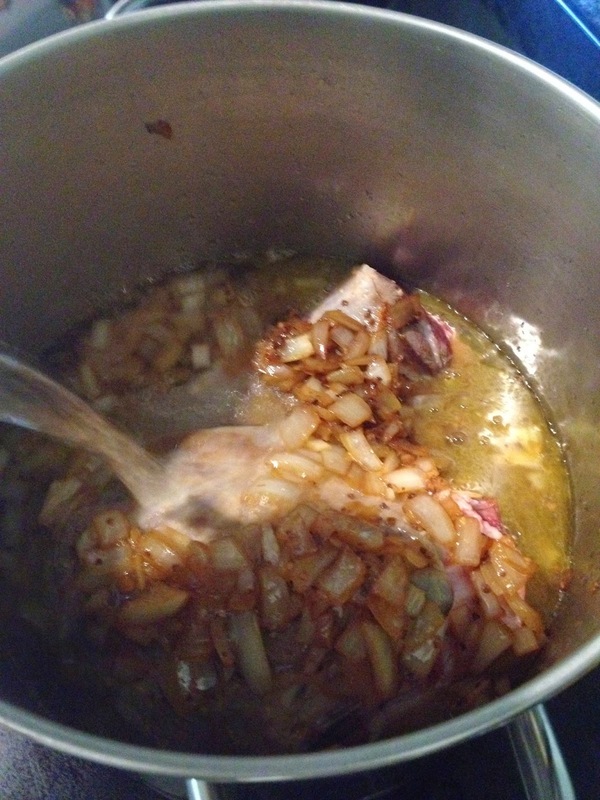 In a large pot, sauté the garlic in the olive oil on medium , don’t brown it. 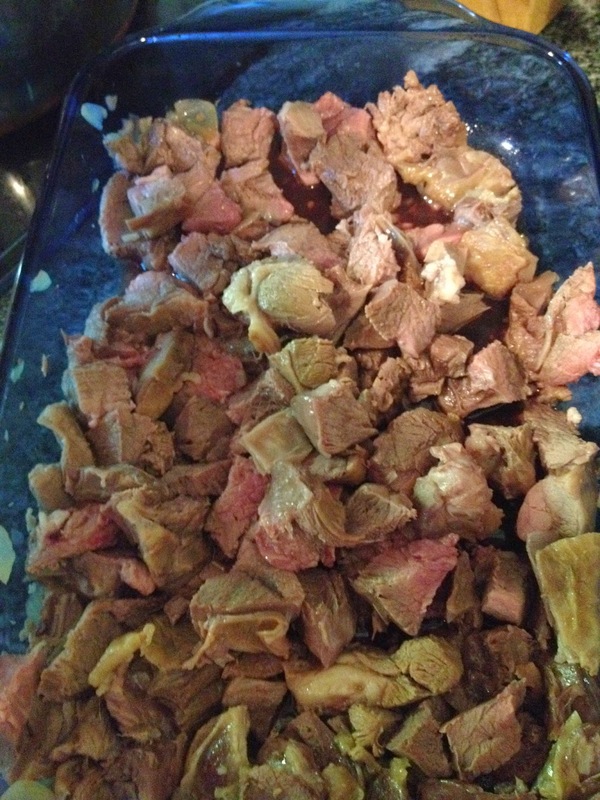 Add in the lamb meat to brown. Add diced onion to pot, sauté lightly. Allow to boil for 5 minutes, skim away froth as it rises. Reduce heat to medium, stir in dried thyme and oregano, cover pot, and cook for 40 minutes. 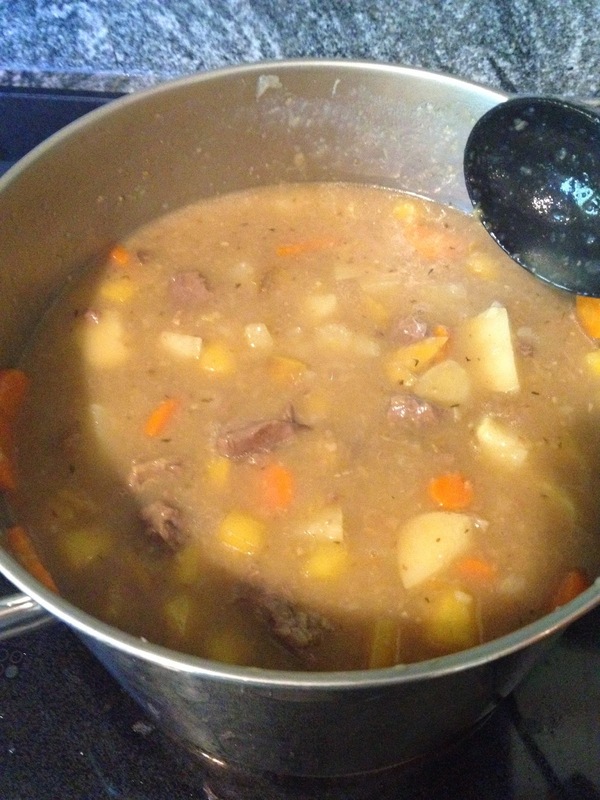 Add cabbage, carrots, rutabaga, cauliflower (if using), and diced potatoes. Cook, covered, for an additional 20 minutes, or until vegetables are fork-tender. 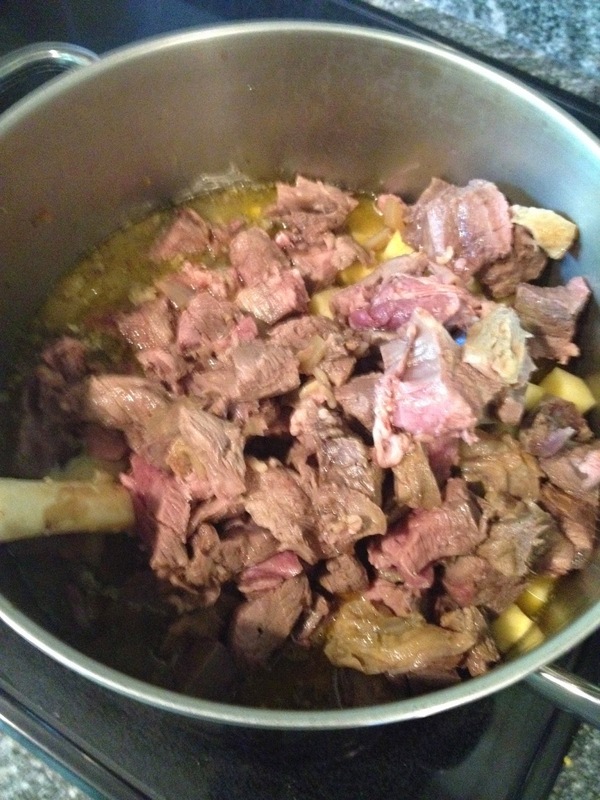 Remove meat and bones from pot, chop meat coarsely, then return. Warm for an additional 5 minutes. Adding the lamb back in. 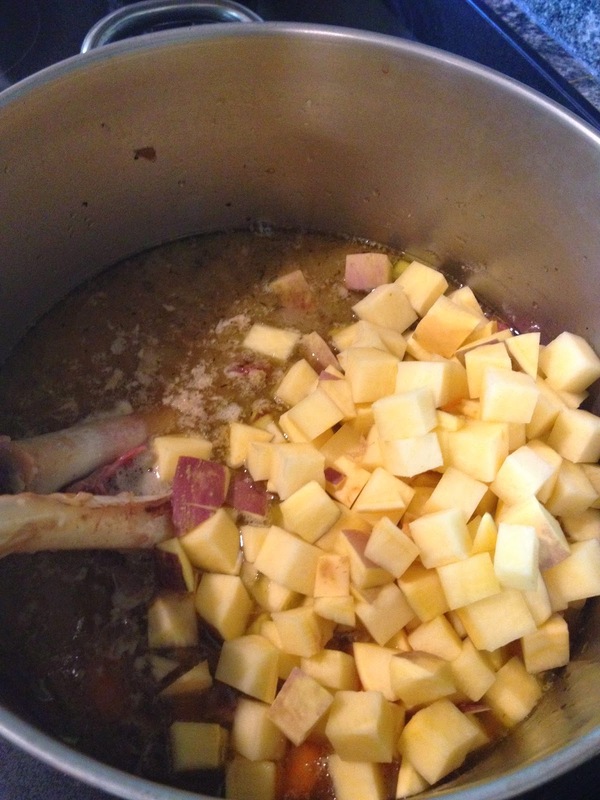 Adding diced potatoes and rutabaga.